With siblings growing up and life making things harder for all of us to be together all at the same time, my family took full advantage this Thanksgiving and locked in a Christmas card photo! With 5 guys, 3 girls, and a dog that likes to chase bunnies…it was an adventure! But, I think we got a couple worthy of the mantle and can keep the parents happy until the next time we are all under one roof! 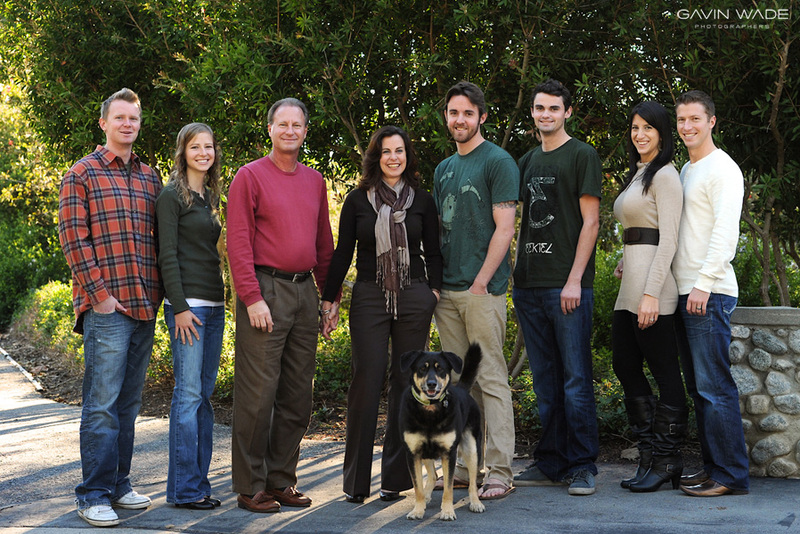 So until next year…I give you…the Wade family! Hoping you all had a wonderful Thanksgiving! P.S. We all have smiles because this was before our amazingly delicious meal. Had we waited, our waistlines and pained expressions would have been too much for the internet to handle. You’re welcome…the world. The sisters who help keep one another sane among all the crazy guys! Erin…. that outfit’s hot. Makes you look SKEEEENNNYYY. Cute family!